Zimbabwe maize field (file photo). Government yesterday said there was no reason for maize seed producers to hike prices as it promised to take measures to protect farmers against the unwarranted behaviour by the manufacturers. Industry and Commerce Minister Mangaliso Ndlovu said there was no justification for seed producers to increase prices. Seed producers have increased the price of a 10kg bag of maize seed to above $100, from $25 last farming season, while a 25kg bag is being sold for about $250 from $70 last season. The increases come just as Zimbabweans are finalising preparations for the summer cropping season. "The price increases are absolutely not justified," said Minister Ndlovu. "We are worried as Government especially as it comes at a time that our farmers are preparing to go back to till their land." Minister Ndlovu said Government would engage the seed producers and that corrective action would be taken. "Our policy has not been that of imposing price controls, but to engage," he said. "We will engage stakeholders just as we did with last week's proposed increase in the bread price." The price increases come in the wake of a wave of hike of prices of basic commodities in the past few weeks which left a lot of shoppers exposed. Minister Ndlovu said prices would soon fall as Government was taking measures to stabilise the economy. "The prices will soon go down owing to some fundamentals," he said. "We expect the measures to stabilise the economy to start bearing fruits. But, as Government, we will not use price controls as a weapon to rein in prices." 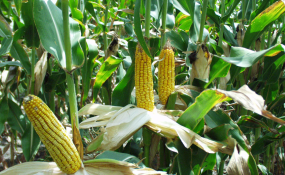 Zimbabwe Farmers' Union executive director Mr Paul Zakaria bemoaned the hiking of maize seed prices. "The prices have to be commensurate with producer prices," he said. "If the price of maize seed is to be allowed to be where it is now, as farmers we will push for a review of the producer price so as to accommodate the new price of inputs," he said. Mr Zakaria called for a social contract between Government, industry and consumers to safeguard the interests of ordinary Zimbabweans. "If these prices are not controlled, farmers will downsize their production because of unaffordable costs of inputs," he said. "This will obviously affect production. There is, therefore, need for a social contract between Government, business and consumers," he told The Herald. "Otherwise as farmers we will push for a review of the producer price and this will have an effect on taxpayers." Zimbabwe Commercial Farmers' Union president Mr Wonder Chabikwa said farmers were shocked by the prices of maize seed on the market. "It is a huge shock for the farmers and what it means is that farmers will not afford to buy maize seed at those prices," he said. "It basically means that a farmer would need $250 per hectare for seed only before other inputs are added, yet they have already sold their maize to the Grain Marketing Board at $390 per tonne. "Normally, by this time farmers would have already prepared for the farming season, but unfortunately this time they have been hit by hard times." Mr Chabikwa urged Government to urgently intervene and correct the maize seed prices before the onset of the rains. "There is need for Government to urgently intervene because if a farmer fails to plant this season, it will have a lot of implications on the future of our country," he said. "Farm workers will lose jobs and there will be food shortages, among other challenges."